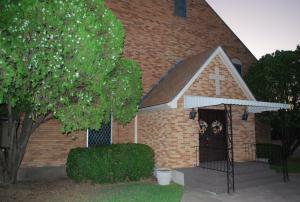 College Avenue Baptist Church in McGregor, Texas, came into existence on December 8, 1929, under the leadership of Reverend M. F. Kelley, with seventy-four charter members. Budget for the first year (which was also the beginning of the Great Depression) was $1880. The first meeting place was in McGregor's old Presbyterian Church. The current church property was purchased in July 1931. First church services were held in a make-shift tabernacle using borrowed chairs. One hot evening during a revival in August 1931, sixty-seven people joined the church. 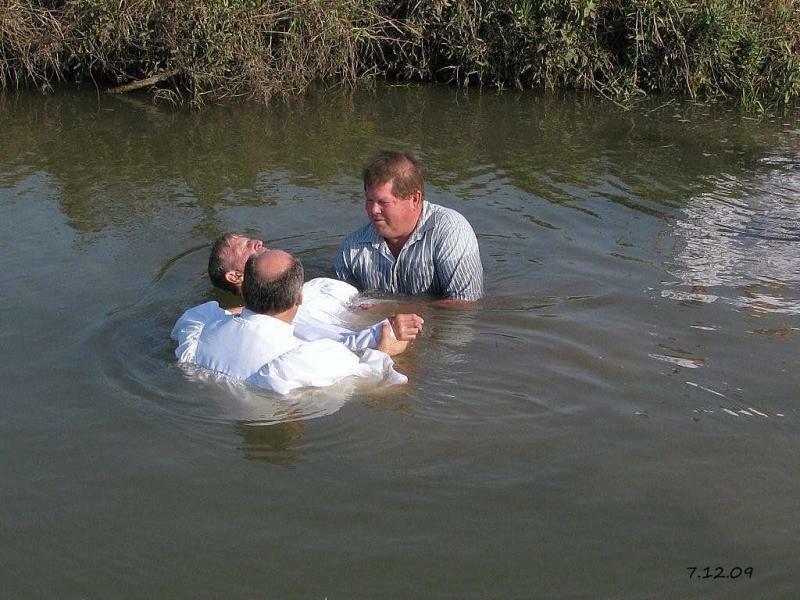 Baptizing was done in either Brown's Creek or Harris Creek. 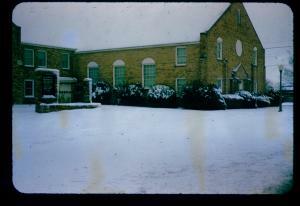 Work on the present-day auditorium began in May of 1948, and worship services were held in November of that same year. As the church continued to grow and flourish, a building fund drive for an educational building was started in 1953. In one day alone, over $3,000 was collected in a cement mixer in front of the sanctuary. The Education Building was completed in 1954, and expanded in 1960. In the 1970's, church membership reached over 700 people. The sanctuary was completely remodeled in 1972. The Family Life Center located on Adams Street was added in 1997. This large facility currently houses the church offices, several classrooms, gym and kitchen. In 1943, the church was able to purchase its first parsonage located at 607 West Second Street. The second parsonage at 413 South Tyler was built in July 1955, and served as home to ten pastors until 2007, when it was sold and the current parsonage at 112 Goliad Street was purchased. Former pastors have included: M.F. Kelly, Jared Cartledge, Robert Dobson, J.R. Wyatt, Robert Ritchie, Thomas Blair, C.B. Harper, I.J. Lloyd, Billy Roland, Jack Ridlehoover, C.A. Johnson, Hubert Conway, Chester Odom, Dewey Baldwin, Mack Mathis, Steve Packer, Carrol Hambrick, Dr. Ronald Sloan, David Taylor, David Thompson. Dillon "Chip" Anthony is the current pastor of CABC. From its small beginning in 1929 until the present, College Avenue Baptist Church continues to be a "People Sharing Jesus". Meeting needs in our local community and in our world, supplying and supporting ministries, and reaching people for Christ have been possible because of the vision and support of the people of faith at College Avenue. For more information about College Avenue, please contact the Church Office at 254-840-3782.